Zoe Barnes battles in the Patriots’ bout with the Falcons. G-NG’s Maddie Post harangues a Falcons opponent. Jasmine French cuts away from a Falcons opponent in the Patriots’ defeat on Thursday night. Trizzie Ha turned in a noteworthy effort for the Patriots, despite their loss. 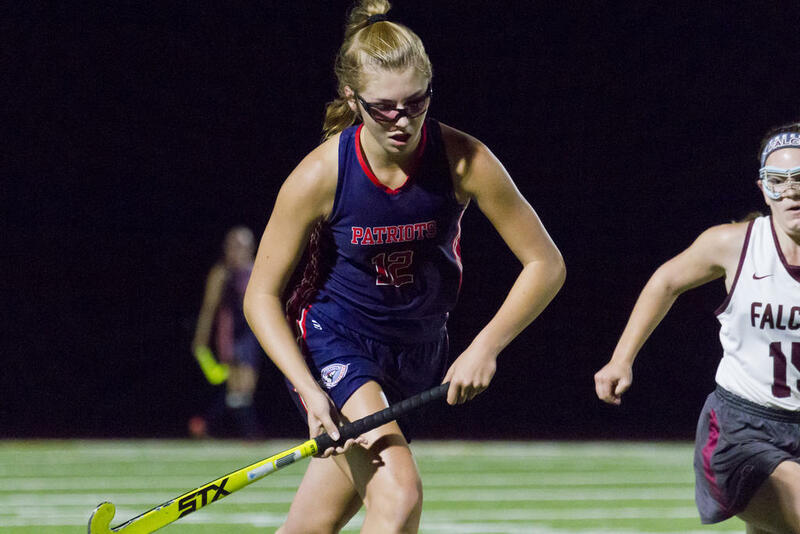 Patriots keeper Mackenzie Baston turned away many a shot vs. the Falcons, despite her team’s loss in the end. Alex Shaw defends for G-NG.